Create a footnote in just one step. 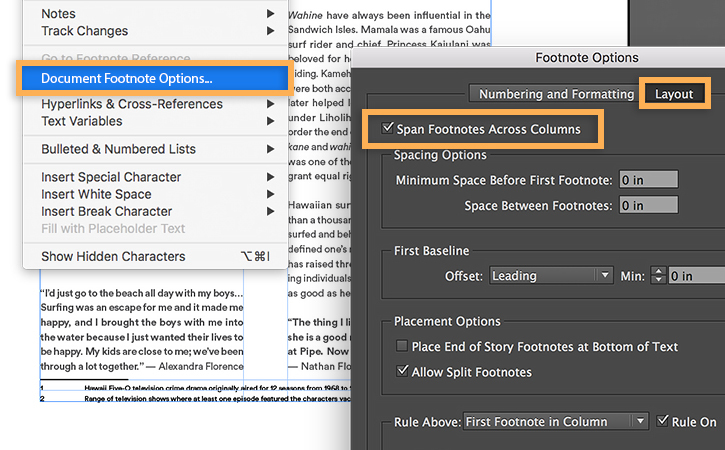 Just as easily, see how to make footnotes in older documents span across columns. Note: You’ll need the latest version of Adobe InDesign CC (2017) to see these enhancements to footnotes. Place your cursor in the text and right-click. 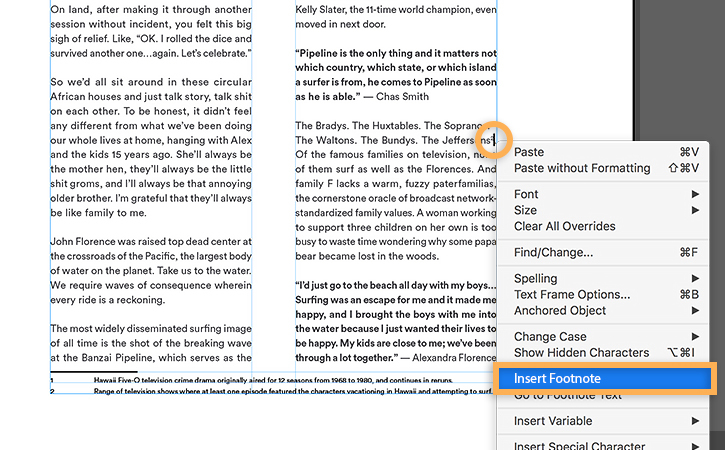 Select Insert Footnote and type your footnote text. A reference number is placed in the text and your footnote appears at the bottom of the text frame. 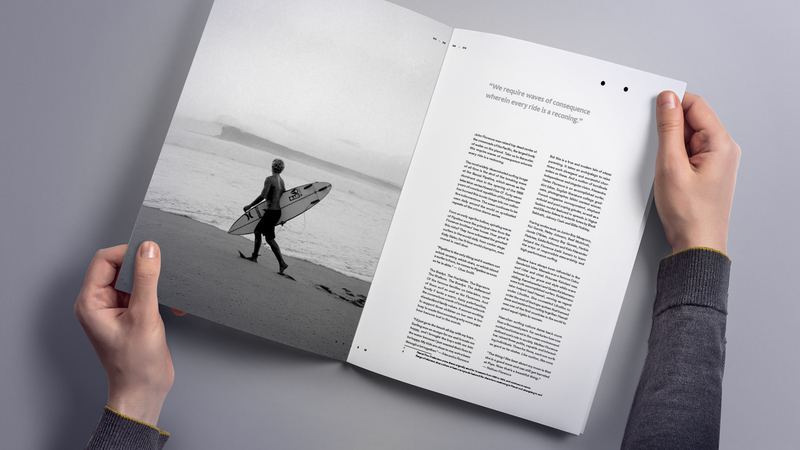 If created in the latest version of InDesign, your footnote will span all columns of a text frame automatically. If you’re working on a document created in an earlier version of InDesign, you can do this manually. Read on. Select the text frame and right-click. Choose Text Frame Options. 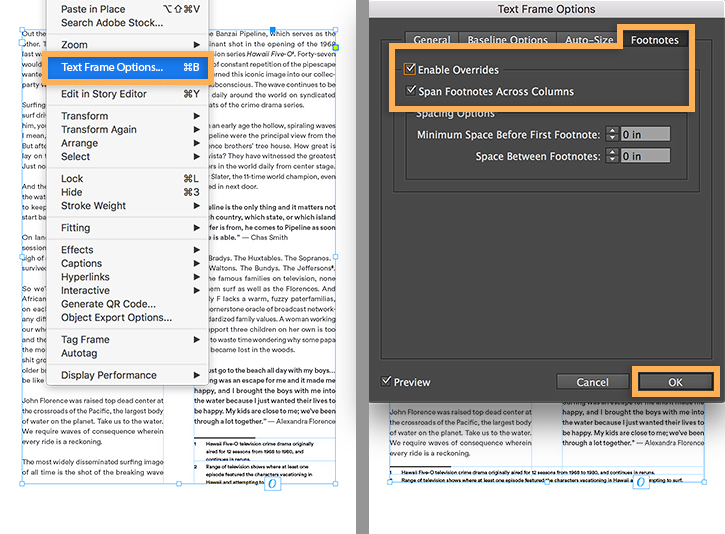 On the Footnotes tab, select Enable Overrides and Span Footnotes Across Columns, and then click OK.
To make all the footnotes in your document span columns in text frames, choose Type > Document Footnote Options. On the Layout tab, select Span Footnotes Across Columns, and then click OK.